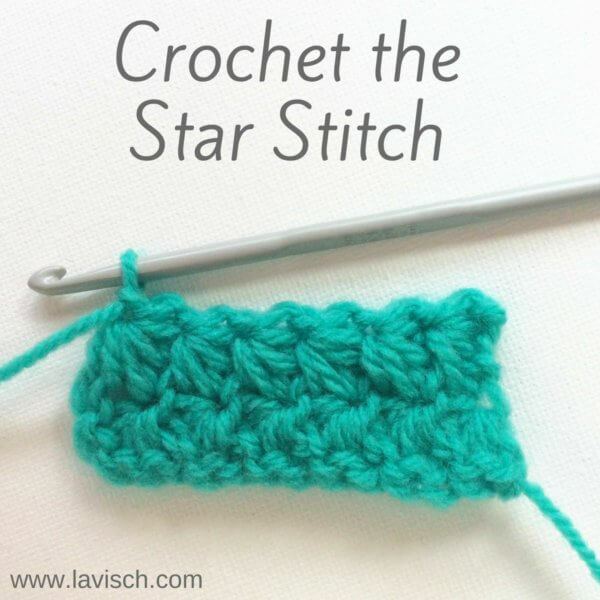 As you are probably aware, there are lots of different crochet stitches. The basic stitches (in US terminology) being single crochet (sc), half double crochet (hdc), double crochet (dc) and the slip stitch (slst). What is perhaps less known is that there is a very special form of crochet, which only uses slip stitches. 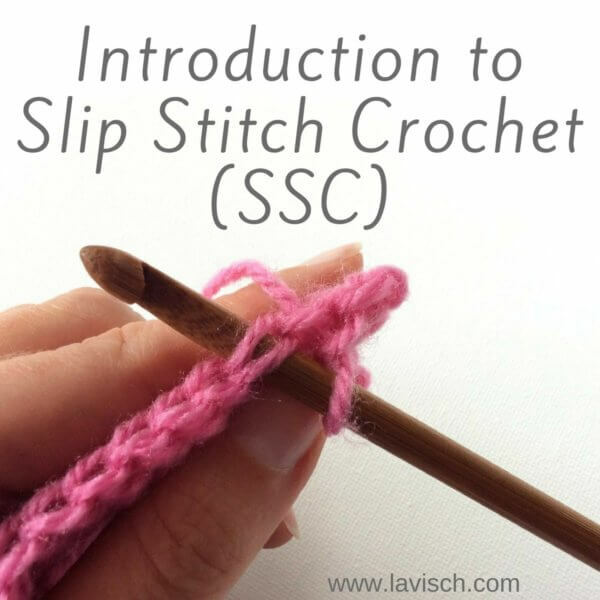 This is called Slip Stitch Crochet, abbreviated as SSC. 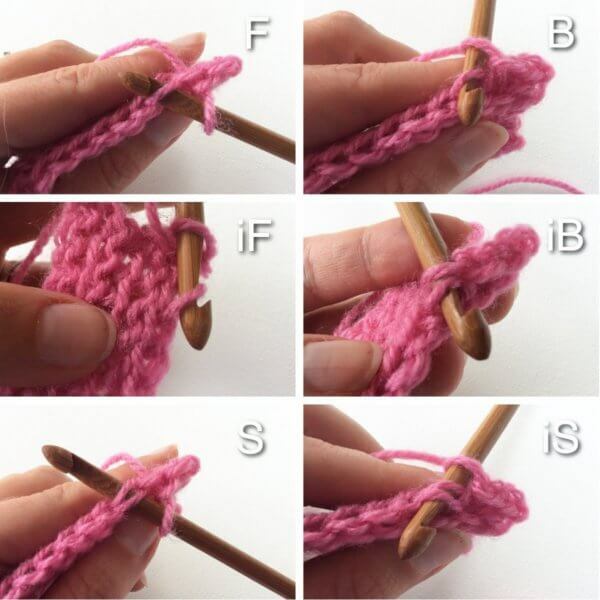 Depending on how the hook exactly is inserted into the stitch, the result can look very similar to knitting. The stitches can look a lot like stockinette stitch, and the fabric is thinner, more flexible and requires less yarn for a similar surface than with traditional crochet. 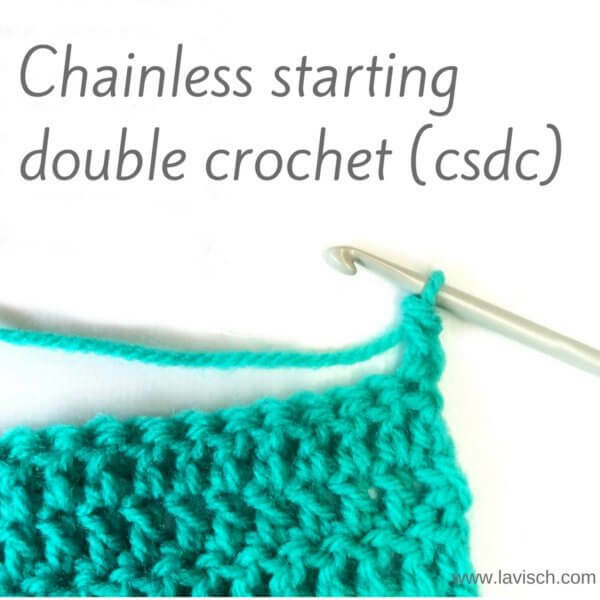 Slip stitch based crochet has been around for a very long time. Many believe it is actually the oldest form of crochet. Fact is that it was and is traditionally much practiced in several European countries, including Norway, Sweden, and Bosnia. This particular type of crochet is therefore also known as “Bosnian crochet”. However, traditional Bosnian crochet is mainly done in the round, where the work at the end of a round is not reversed. In modern versions of slip stitch crochet, the work is reversed, if desired. 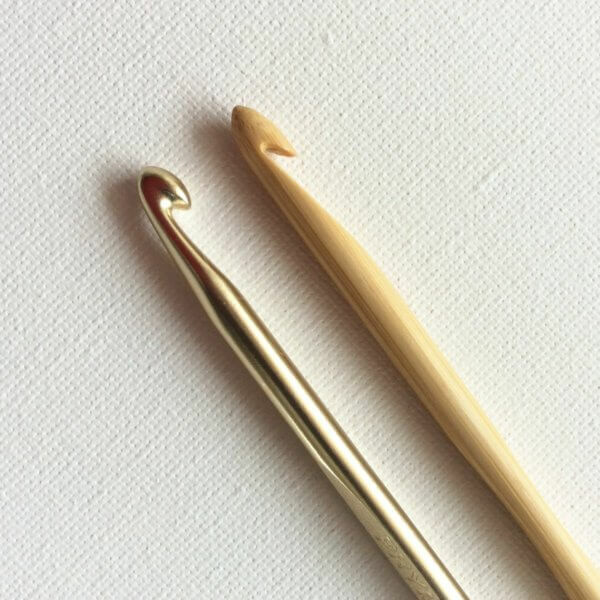 First, it is important that you use the right type of crochet hook. The kind where the entire head of the needle is cylindrical with a “cut out” to make a hook shape, as with the above-depicted bamboo crochet hook works best. These are also called “in-line” hooks. With the other type, it is more difficult to insert the hook into the correct part of the stitch. A big difference between regular crochet and SSC is the size of the crochet hook needed. A much larger size than usual is required to ensure that the work does not end up too thick and stiff. Take for example worsted weight yarn where the label recommends needles in size 4-4.5 mm. For that yarn, a crochet hook in a size of approximately 6 mm would be the better size for SSC. With regular slip stitches, the hook is usually under both loops of the stitch from the previous row. With SSC the hook can also be placed under only one of the loops. The exact orientation and direction determine what the stitch and thus the resulting work will look like. Variables here are front/back loop, inserting from the front to back or from back to front and yarn in front of the work vs yarn at the back of the work. Hold the yarn behind the work and the hook. Insert the needle from front to back under the front loop of the stitch, yarn over and pull the yarn through both loops on the hook. Hold the yarn behind the work and the hook. Insert the needle from front to back under the back loop of the stitch, yarn over and pull the yarn through both loops on the hook. Hold the yarn in front of the work and the hook. Insert the needle from back to front under the front loop of the stitch, yarn over and pull the yarn through both loops on the hook. Hold the yarn in front of the work and the hook. Insert the needle from back to front under the back loop of the stitch, yarn over and pull the yarn through both loops on the hook. 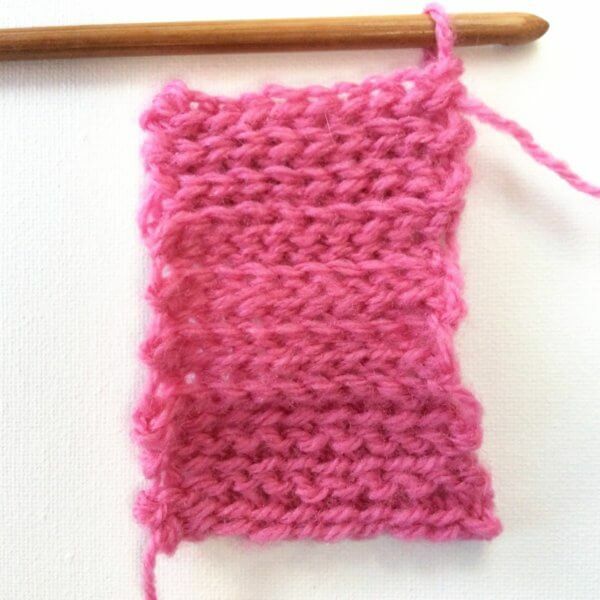 This is a regular slip stitch: Hold the yarn behind the work and the hook. Insert the needle from front to back below both loops of the stitch, yarn over and pull the yarn through the loops on the hook. This is a regular slip stitch worked backward: Hold the yarn behind the work and the hook. Insert the needle from back to front under the two loops of the stitch, yarn over and pull the yarn through the loops on the hook. A: Looks very much like garter stitch and the resulting fabric does not curl. This is made by working F every row. B: Looks very much like stockinette stitch in a sideways orientation, the fabric curls up (just like stockinette stitch). It can be made by alternating rows in F and iB. 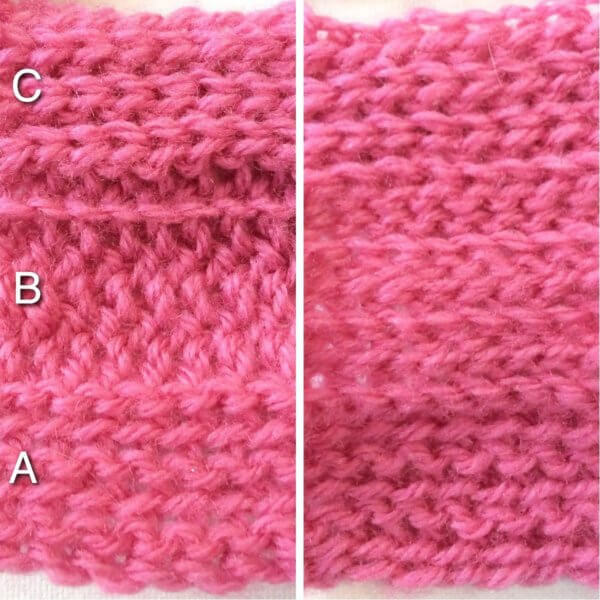 C: Rib stitch: because of its high elasticity, this pattern is very suitable for cuffs and hems. This can be made by working every row in B.